You will learn as Black to fight for control of the center on the first move. This covers answering 1.e4 with 1..e5. Ready to fight the Ruy Lopez with the Classical defense, you are given special lines to play against The Ponziani, Scotch, Bishop’s Opening, Italian Game, King’s Indian, and Vienna. When White plays 1.d4, you will answer with 1..d5 and not give an inch of the center with the Orthodox Defense using 3..Be7!. You as Black will be ready for the Flank Games such as the English, Grob’s Attack, Reti, Bird’s, King’s Indian Attack, and the lesser played openings such as the Sokolsky, Anderrsen’s Opening, Saragossa Opening, Clemenz and Van’t Kruy’s Openings. 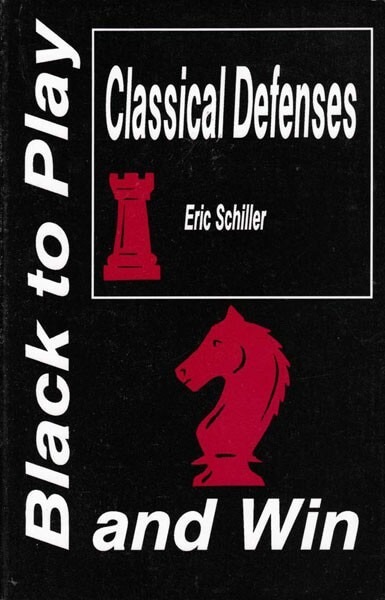 These classical, old-fashioned defenses have the advantage that they have not been examined in the modern chess laboratories, and they hold many undivulged secrets.